There’s nothing quite like a good Broadway show or tickets to a live concert, but consumers have found it difficult to secure online tickets recently because of ticket bots – software used by scalpers and resellers to grab large numbers of available tickets as quickly as possible. 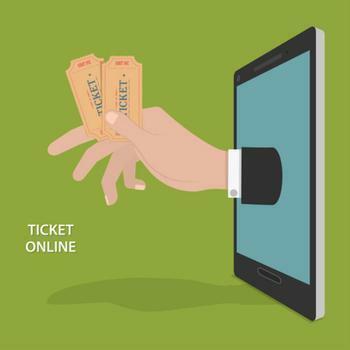 The problem became so bad that New York Governor Andrew Cuomo signed a law last November that increased the penalty for knowingly reselling tickets obtained by a ticket bot to a class A misdemeanor. The change guaranteed harsher penalties than the previously mandated civil penalties, something that six companies now know full well. Yesterday, New York Attorney General Eric Schneiderman announced that Renaissance Ventures LLC (d/b/a Prestige Entertainment), Ebrani Corp. (d/b/a Presidential Tickets), Concert Specials Inc., Fanfetch Inc., BMC Capital Partners, and JAL Enterprises (d/b/a Top Star Tickets) had been fined a total of $4.19 million for using ticket bots to procure and resell tickets in the state. “Unscrupulous ticket resellers who break the rules and take advantage of ordinary consumers are one of the major reasons why ticketing remains a rigged system,” Schneiderman said. The Attorney General’s office found that one of the ticket brokers, Prestige Entertainment, had used two different bots and thousands of credit cards and Ticketmaster accounts to buy tickets for many New York shows. The investigators allege that the company used IP proxy services to hide its use of bots from retail ticket marketplaces. In one specific case, the company allegedly used its bots to purchase over 1,000 tickets to a 2014 U2 concert at Madison Square Garden in just one minute. Because of its pervasive use of ticket bots, Prestige will be paying the highest fine at $3.35 million. Concert Specials will pay $480,000; Presidential Tickets will pay $125,000; BMC Capital will pay $95,000; Top Star Tickets will pay $85,000; and Fanfetch will pay $55,000. In addition to paying the fines, each company is required under the settlement to maintain proper ticket reseller licenses and abstain from using ticket bots in the future. “We will continue to fight to make ticketing a more fair and transparent marketplace, so fans have the opportunity to enjoy their favorite shows and events. Anybody who breaks the law will pay a steep price,” said Schneiderman.